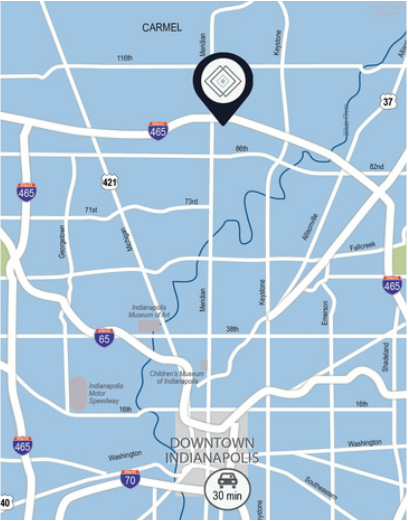 Parkwood Crossing is strategically positioned with immediate access to I-465, U.S. 31, and 96th Street and boasts I-465 visibility. Located at the northern boundary of Indianapolis, the park is adjacent to the affluent suburbs of Carmel, Zionsville and Fishers in Hamilton County. Along with being one of the fastest growing counties in the nation, Hamilton County is home to a population earning more than double the national and state average for household income. Take a Tour from Above.